Wooo hoo! I’m SO excited to announce that I’ve submitted by entry to Episode’s ‘Heroes & Villains’ contest. 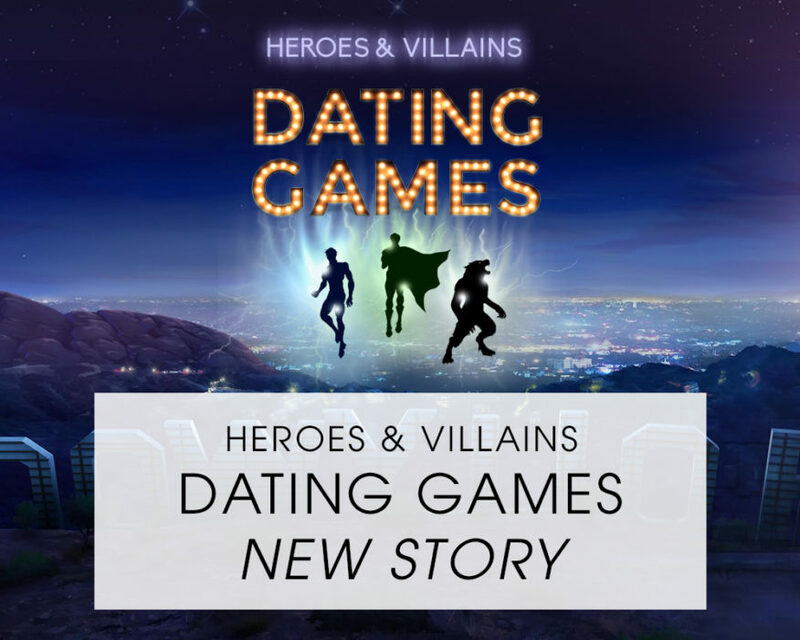 It’s called ‘H&V: Dating Games‘, you play as a contestant on a reality dating show who must pick one of three eligible ‘supers’ for a romantic date night. Your choices will determine whether or not he falls for you, fancies you, or wants to stay just-friends! This is an ongoing story which I currently have planned to run for 8-10 episodes , which I will aim to update weekly. 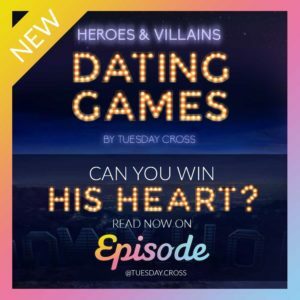 H&V: Dating Games by Tuesday Cross you must interview Mr. One, Two, and Three without seeing their faces. After you select your favourite based on their answers to your questions, your adventure beings! Can you seduce the villain? Tame the wolf? Capture the captain’s heart? All three dates offer uniquely different adventures. Your choices will determine whether or not he falls head over heels, or declines your affection. I’ve gone all out in this story with a complex point system, unique branching, and over 12 different endings! Read now in Episode Interactive!